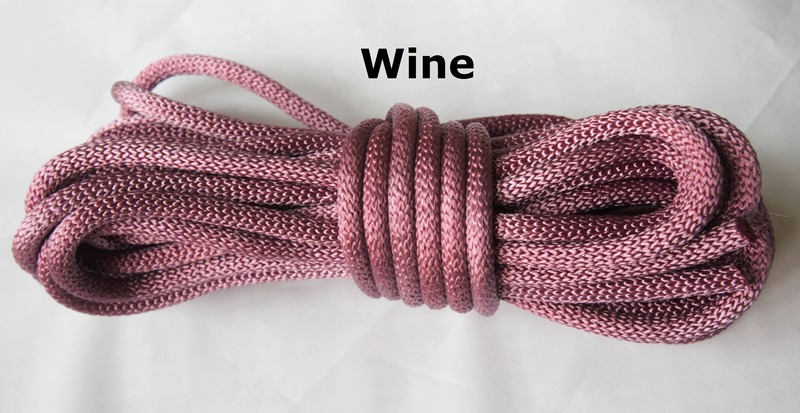 This listing if for custom dye nylon ropes. Please select the color you want and the quantity of ropes you would like. If you do not see the color you want listed here, please message me! My stock of dyes is constantly rotating. A nice alternative to natural fibers, nylon, offers a unique blend of softness with durability that is hard to match. I hand dye each one of these ropes before shipping. Some color variations are normal. Each hank is 30ft long and 1/4" in diameter. Excellent quality and fast, pain-free shipping. Got it just in time for our weekend vacation! Will definitely be doing business here again. 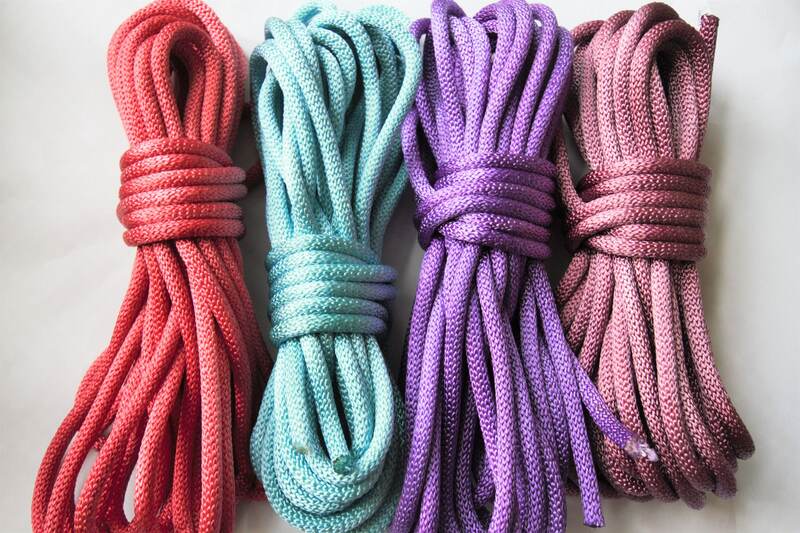 Fist time buying rope online and was unsure of , but wanted some colors to play with. My dog stole one of the ropes out of my play bad right a way. Can't even tell she was chewing on it. Will be recommending to all my friends! Vibrate and sturdy. Looking forward to ordering more! It’s stunning. Beautiful color. Fast shipping.